It’s the news patient Latin Resources (ASX: LRS) investors have been waiting for. Drill permits have finally been received, clearing the way for LRS to start a 3000m RC drilling campaign, across 30 prospects, in the lithium hot spot of Argentina. Given the significant success a number of ASX lithium explorers have achieved on discovery of commercial quantities of lithium, we’ve had a keen eye out for some strong lithium early birds, as regular readers will know. Due to the frenzy over this metal, we’re taking the calm approach by carefully sifting through the rigmarole in order to confidently place our chips on hopefully the eventual front-runners that stand a chance to become full-blown producers in a few years’ time. LRS has piqued our interest for primarily geographic reasons. This plucky explorer has got in amongst a mighty old tussle currently raging in South America, where lithium explorers are scrapping for market position. ... however no hard rock lithium resource has been defined in the region yet. That could all be set to change very soon as LRS has just announced that the final obstacle in the way of drilling its Catamarca project has been sorted, paving the way for it to become the first company to identify a hard rock lithium resource in the region. Intriguingly, there are a number of historic artisanal lithium producing mines scattered across LRS’ ground – and we are looking forward to what this upcoming drill programme will deliver. Remember, however, that this is still an early stage company and whether it can grow in value remains to be seen. So, if considering this stock for your portfolio, seek professional financial advice for further information. LRS is targeting a commercial hard rock lithium resource by exploring long stretches of pegmatite strike lengths across its huge Argentine landholding – a region with very similar geology to what is found in the Pilbara of WA and in particular at the $690M capped Pilbara Minerals (ASX: PLS) monster hard rock lithium deposit. LRS has just confirmed that the Environmental Impact Assessment including drill permit has been approved with drilling to commence immediately. This is a major milestone on the way towards LRS hopefully defining a stand out lithium resource. Following a recent $3.4M capital raise, LRS has got the juice to make its first round of drilling really count. 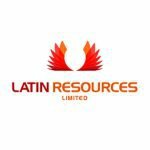 As with every good investment opportunity, there are often things written between the lines, and with LRS, the supreme differentiator is that this tiny ASX explorer is parachuting into Argentina — a country expected to treble its lithium production in the coming 5 years and become the world’s third largest producer. Drilling will kick start a resource definition process, which will hopefully allow it to be fairly compared to other, much larger lithium market cap stocks on the ASX and beyond. The coming weeks will give LRS an opportune moment to make an impact on the commodities world stage as it begins the first drilling program at Catamarca. Having set the stage to hopefully transform into an ultra-competitive lithium producer on the world stage, LRS could add yet more support to the emerging renewables and energy-storage movement. It is becoming increasingly likely that given the surging demand for battery-grade lithium, or lithium hydroxide, over the next 5-10 years — any explorer capable of getting into production is likely to offload all its output into a hungry market. Lithium is a key component of future energy storage generation, so taking smart positions in early lithium movers sounds like an opportunistic investment strategy to us, here at The Next Small Cap. Can LRS perform similarly, now that drilling is underway, and results should only be a few weeks away now? Lithium-ion batteries are grabbing as many column inches as the projected manufacture and future sales receipts for electric vehicles right now. Let’s take a run-through what chance LRS has to add to the lithium buzz and potentially impress its shareholders. The first important fact about LRS is that this $18.9M-capped explorer has just announced the final approvals needed to start drilling at its flagship project. The Environmental Impact Assessment (EIA) including drill permit has been approved for LRS’s Catamarca lithium project in Argentina. Before the Catamarca Environmental and Mines department could approve it, the company were required to meet with local residents and obtain community approval, which they did on 18 January. The 3000m reverse circulation program includes drilling targets determined through the company’s previous mapping and rock chip sampling. It has appointed Major Drilling Company as the contractor to carry out the program, to start immediately. 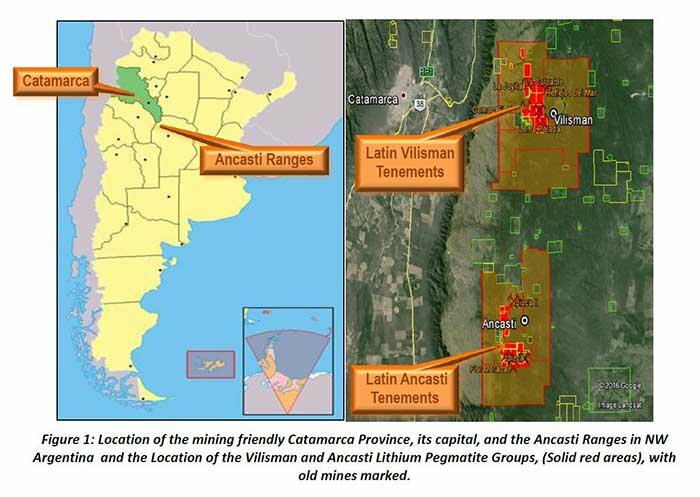 In LRS’s Operations Update from December , the company advised it had confirmed drill targets at its Catamarca project for three concessions having completed mapping and sampling across the site. Field work has also commenced at its San Luis site, as well as due diligence processes ongoing for its Ansotana project. In November the company advised shareholders that the final two concessions had been granted at the site. The two exploration tenements cover the Vilisman and Ancasti project areas, each with past lithium mining activity and hosting more than twenty lithium-bearing pegmatite deposits , variously documented over the last 50 years. LRS reported that their recent field samples taken have continued to produce positive results at their Catamarca exploration tenements in Argentina. The results returned have confirmed that economic grades of lithium are contained within the target prospects with 19 of the 29 samples being 1% Li 2 O or higher, best grades showing from 2.02% Li 2 O to 4.46% Li 2 O, with an average grade of all samples being 1.42% Li 2 O. With drilling to begin now, investors can count on a high volume of news flow from the company in the coming months. 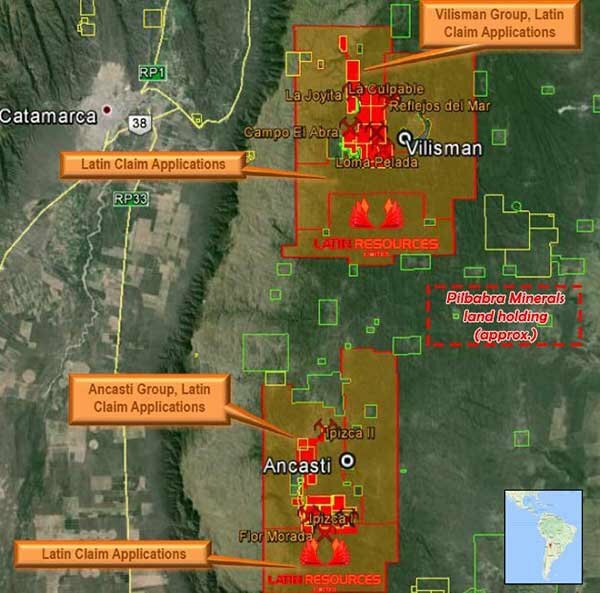 LRS is operating in Argentina, and conducting exploration on a rather large swathe of land extending more than 770 km 2 . 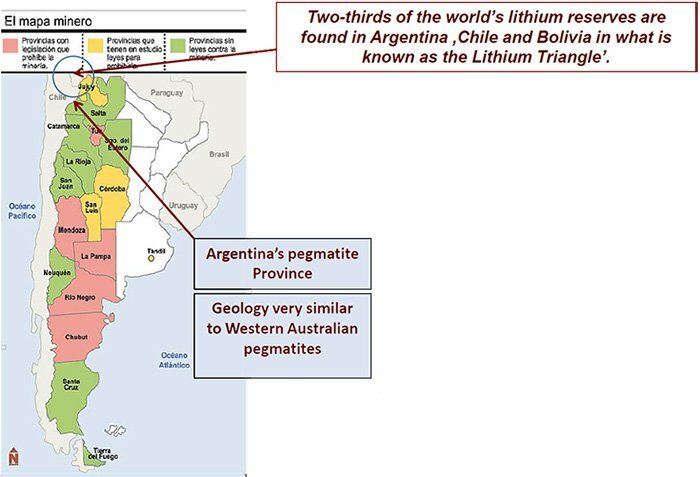 Operating from Argentina’s pegmatite province, LRS is placed right at the epicentre of the lithium hotspot in South America — the Lithium Triangle. Note the box to the right is Pilbara Minerals approximate land holding size which contains its hard rock lithium resource in WA. Yes, it’s much, much smaller to LRS’ large land holding. So if LRS can indeed find something, it will be well placed to capitalise, given its commanding ground position. Yet of course, its land holding does not necessarily equate to a discovery or production, so if considering this stock for your portfolio exercise caution, and seek professional financial advice. So far, LRS has witnessed grades up to 7.97% Li 2 O but needs to conduct more drilling and sampling to confirm the initial findings – and that is what the company is set to do, now that granting of the tenements has been completed. Some of the other larger lithium players snooping around in the district of Catamarca are FMC, Galaxy Resources (looking to develop its Sal de Vida lithium and potash brine project in Argentina), Lithium Americas and SQM, all of whom are in a race to identify the next major global lithium resource. So, LRS has already amassed a strong landholding that beats even Australia’s very own Pilbara Minerals (ASX: PLS) in terms of land mass – which is a good start. Capped at $688M, PLS is busy working up a 28 million tonne @ 1.22% Li 2 O resource, around 20km from Port Hedland in Western Australia – demonstrating the pathway LRS investors would be gunning to follow. 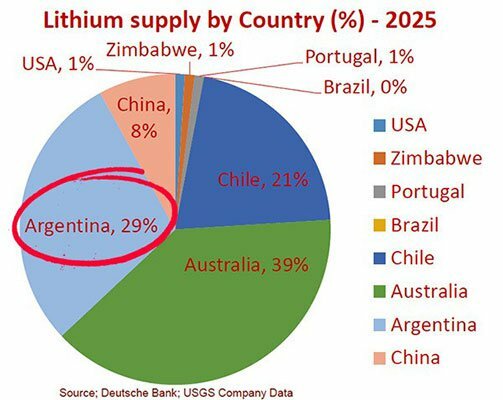 If we look at the global stakes, it’s clear that Australia is one of the leaders in lithium pack, but Argentina is the fastest growing lithium production area globally, and LRS are looking to play a key role in defining that. Take a look at Deutsche Bank’s estimates of global lithium supply shifts over the coming decade, split by country. In the space of 10 years, Argentina is predicted to deliver from 11% to almost 30% of world supply. So who is going to define a hard rock resource there? Given LRS’ expansive land holding, the presence of old artisanal lithium mines on its ground, and swarms of pegmatites present, the company is well placed to enter the global supply chain, assuming it can define a commercial resource. Much of the future lithium supply is likely to come from brine production given its lower relative cost compared to extracting lithium from hard rock micas... but what if there was a hard-rock producer that could produce right next door to the brine producers, at a much lower cost of production? 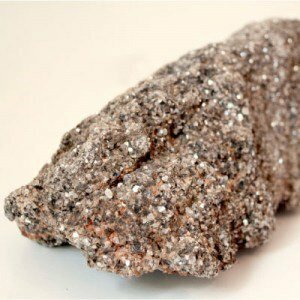 That may sound like science-fiction, but in reality, LRS has a potential joker in its pack that could trump anything the South American lithium brine giants have to throw at it. 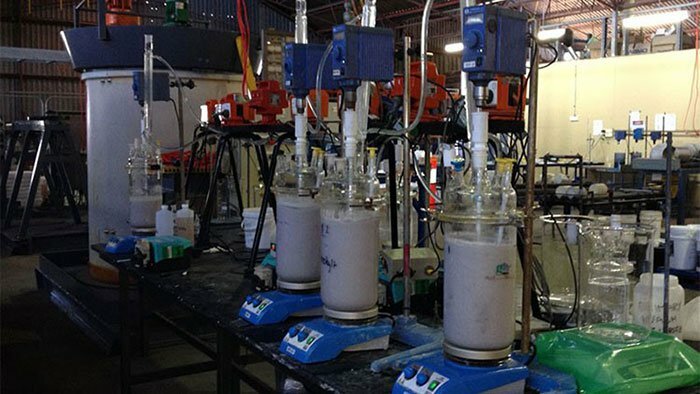 The production of lithium carbonate from hard rock sources is set for a dramatic overhaul courtesy of Lepidico Ltd’s proprietary L-Max technology. LRS is negotiating a term sheet to form a joint venture between LRS and Lepidico Ltd which will seek to acquire and advance lithium projects in Argentina and Peru. LRS and Lepidico propose to use the proprietary L-Max technology to extract lithium from pegmatite and mica ores. Lepidico has managed to grab early control of a technology that takes the expensive energy-consuming element out of high-grade lithium production. The strategic JV will mean LRS has exclusive use of this technology for Argentina and Peru, and all hard rock lithium projects identified in these jurisdictions will be managed by the two companies. 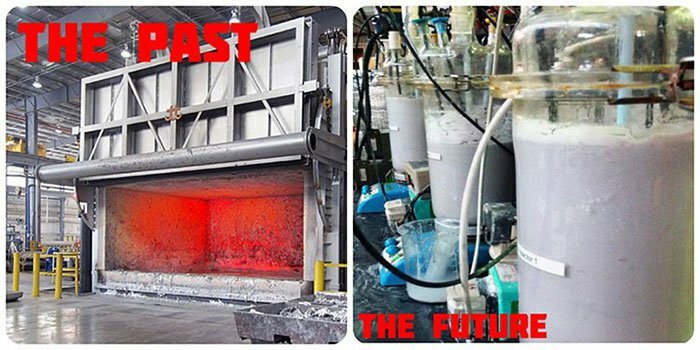 Before L-Max came on the scene, typically hard-rock material is roasted at temperatures as high as 1000°C in order to produce high grade lithium carbonate. This process is energy intensive and typically means hard rock lithium producers produce lithium for US$3000-US$6000 per tonne, which is more expensive than traditional brine producers. Courtesy of any deal struck with Lepidico, LRS has access to this technology right in the back yard of the brine producers in South America, with several tests confirming the viability of using this technology commercially. It’s revolutionary because it allows existing mica hard-rock deposits to yield higher lithium carbonate upon processing – as well as reduce the cost of production. Not only that, but abundant amounts of low-value lithium micas around the globe can now be cheaply transformed into high-value deposits to be processed and sold. The actual process also has near-zero energy footprint which means it can be conducted at room temperature with vastly lower costs and safety concerns, compared to existing production methods. According to Joe Lowry , a recognised lithium industry analyst and expert, the key issue for up-and-coming lithium producers is resource size and grade, not the source of the lithium. ...and LRS’ zero-energy extraction could provide a material market advantage. Speaking of getting down to details, LRS has recently been the subject of two in-depth research reports – one by New York based equity firm RB Milestone Group and another by Pac Partners (both available on the company’s website here ). So the challenge for LRS now is not in attracting interest for its lithium projects, as that’s well underway; what it needs to do now is make good on its claims it has its hands on highly prospective tenements which can produce economic lithium. In addition to its lithium exploration, LRS is also pursuing copper and gold in Peru, where LRS has a “JORC’d” Inferred Resource of 1.465Bt at its mineral sands project and a 4.5Bt conceptual exploration target. At its Ilo Norte Project, LRS recently discovered surface copper-gold mineralisation and has 6 new target areas close to other known resources such as the Tia Maria deposit ([email protected]% Cu, 0.199/t Au), only 3km along strike to the north-west of LRS’ new target areas. LRS recently announced it had signed an extension with the JV partner First Quantum Minerals, one of the largest copper producers in the world; and its discussions with a potential JV partner for its Guadalupito mineral sands project are also advancing. You can get up to speed with the latest on both those projects here . Lithium remains the front-runner, but copper and gold in Peru are also genuine potential avenues for an LRS re-rate down the track. The company stated it held $1.97M in its latest quarterly report , following an August share placement which raised $3.4M towards the company’s projects. All LRS will be focusing on at this stage is getting this drilling program right – only through success there can it look to define a hopefully sizable resource. Yet, LRS is an early stage play and there is no guarantee of success. As such invest with caution and seek professional financial advice if considering this stock for your portfolio. So while production and profits are still a long way off, several share placements in the last two years has brought in over $7M for LRS , demonstrating it has got some serious backing to see it through to success. 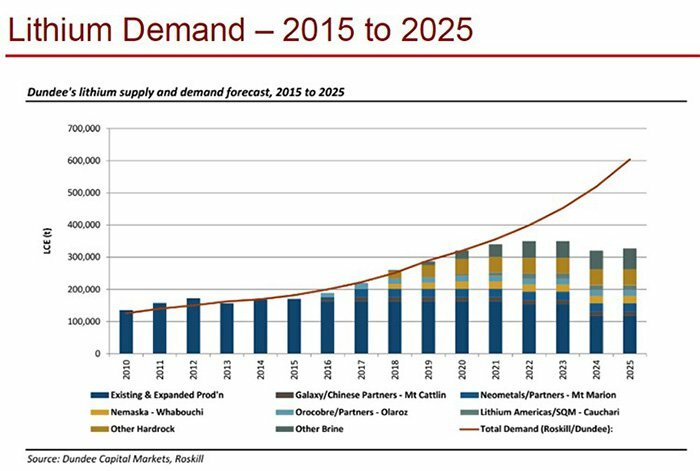 Lithium demand is rising fast, but those that understand the product lifecycle and development stages see that we are on the cusp of something much bigger. Yes there’s an increasing demand for electric vehicles... but that’s not even considering grid storage, which is set to outstrip electric vehicle demand, and the rising use of consumer electronics. Throw in the Asian effect in terms of population and greater spare capacity – and you get an absolutely blistering pace of global energy competition. Some people are even suggesting the current energy revolution of our time is something akin to the opportunity presented in early days of the internet – check out this article “ Energy is the new internet ” – the challenge is backing the right companies who stand a chance at succeeding. The lithium ion battery market is forecast to expand to $46.2 billion through 2023, which represents an 11% average annual growth rate. 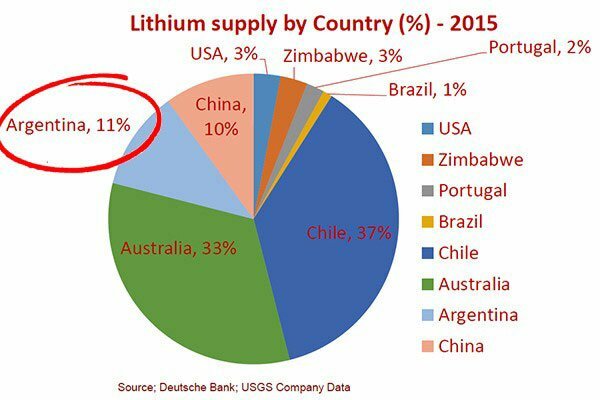 No wonder Warren Buffet is investing heavily in lithium, especially in view of the shortage that banks and market analysts are expecting. 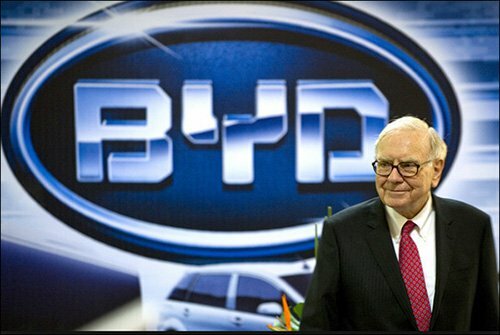 In fact, Berkshire Hathaway-backed BYD has become China’s single largest electric car manufacturer. The tendency to switch to cleaner and more efficient electric vehicles is even going legislative. Europe is working towards mandating electric vehicles directly into law with the Netherlands leading the charge on this front. Dutch legislators have mandated all new cars to be of the electric variety by 2025 and Germany is considering similar action. Could lithium become the ‘new gasoline’? The answer, it seems, is yes. LRS has taken up a starting position in the fast lane of lithium exploration, with drilling happening right now. We’re confident it can give it a red hot go as it enacts its ambitious plans right in the burgeoning lithium hotbed of Argentina.